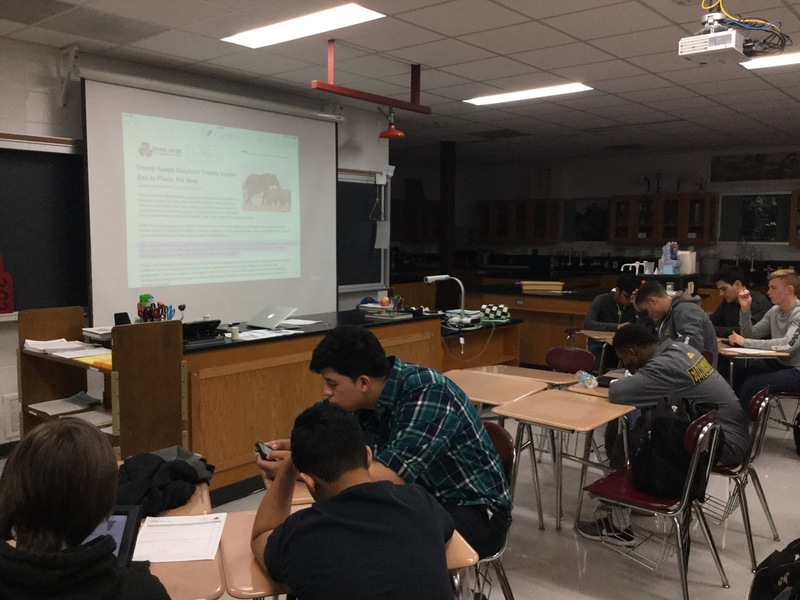 It is now my third year teaching AP environmental science (APES) and I am enjoying teaching it more and more each year. Even though it is labeled as a "science" course it is very interdisciplinary and the issues and challenges discussed in the course can be approached from many different perspectives - scientific, social, economic, political, law, engineering, etc. As I have taught the course however, I felt as though each unit was being treated as its own separate entity and the interconnectedness between the concepts that we were learning was being lost. For examples, the unit on agriculture was seen as just concepts related to agriculture and not how agriculture is related to previous concepts like water use, water pollution, energy, ecological footprint, biodiversity, populations, etc. 1. Students struggle to connect new concepts to previous ones, leaving them to miss the interconnectedness within APES that provides the "whole picture". 2. Students have a hard time retaining the large quantity of information throughout the year that comes in the form of vocabulary, concepts, and real world examples. 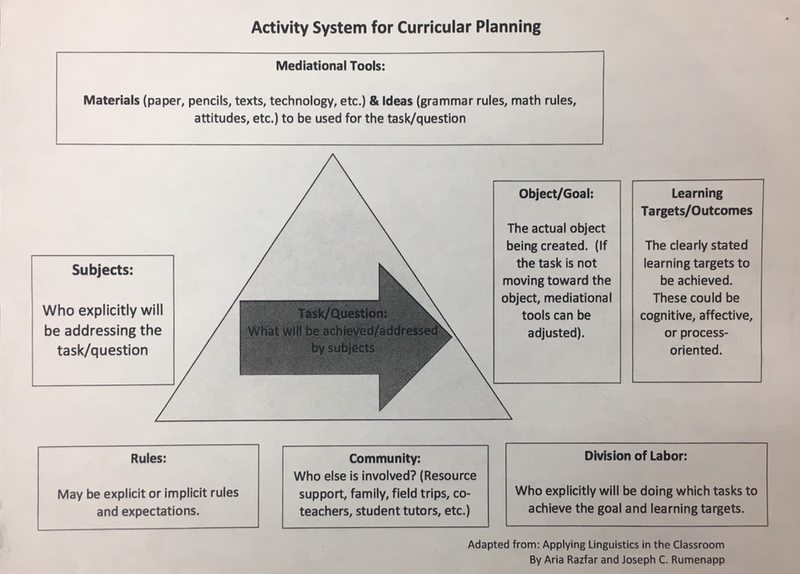 At a recent EGLLT meeting, Kim Miklusak shared part of her 6-step process to designing curriculum and it has helped me zero in on how to approach the major task/question that I was trying to answer: How can I establish routines that have students to approach the content more holistically? 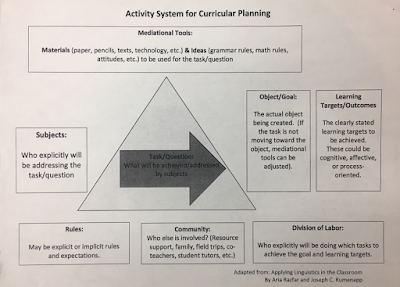 A curricular planning tool to Kim shared to help connect a question/task to a desired goal and learning outcome(s). The object/goal in my class has become daily warm ups that include short readings or articles about current issues in environmental science. One learning outcome will be facilitating students in their ability to make connections between concepts in the warm up with current or past concepts from the class. One strategy to accomplish this has been to provide students with a list of key terms or concepts that they have to use when writing a short summary in small groups. This has helped me spiral back older content without making it seem tangential. Students make connections between seemingly unconnected concepts: evolution, air pollution, and genetic diversity. The other learning outcome I hope to accomplish with these daily warm ups is having students examine an issue from multiple perspectives. 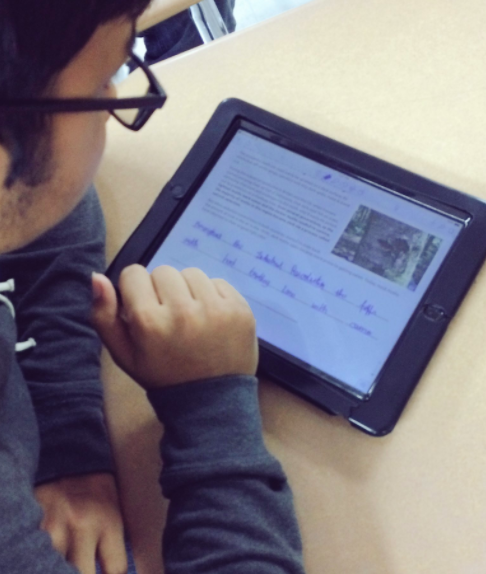 For example, students recently read an article related to trophy hunting as a means of conservation. Students then discussed the social, political, and environmental perspectives in small groups, which then lead to a whole class discussion on the ethics of killing something to try and preserve it. Students wrestle with the implications of hunting ranches. Next steps include seeking out additional reading and writing strategies that are engaging and lend themselves well to revisiting old topics and concepts. The hope is that students create more of a web of information throughout the year rather than independent subsections of environmental science.